The Tractor Crane with Hydraulic Post Hole Digger (Pillar / Pole Lifter) is widely demanded in agricultural industry owing to its capacity to take immense load without any complications. 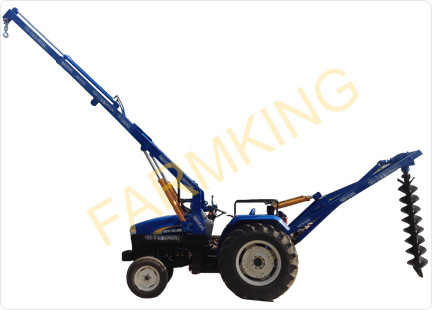 The tractor crane is accomplished with stabilizers that makes it capable of sustaining heavy load. The crane supported with hydraulic post-hole digger proves to be fastest method for situating electricity pole, easily loading & unloading and heavy-duty channel. It has an additional feature of being easy extension of the crane boom. Gear Body Made By Graded C.I.